Teaches boxing out for rebounding. Offensive and defensive player on each side of the lane. 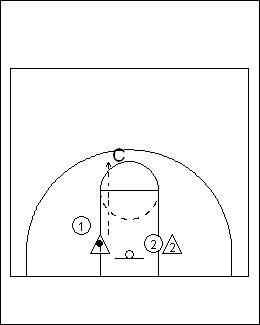 The coach throws up the ball, defense blocks out, offense goes after the rebound. If the offense gets rebound, they try to score. 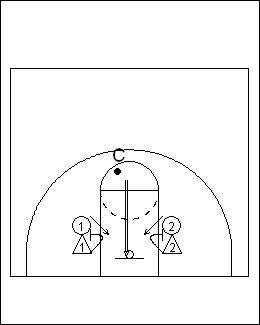 If the defense rebounds, they pass the ball out to the coach. Goog drill thank you 4 your help. Excellent drill. 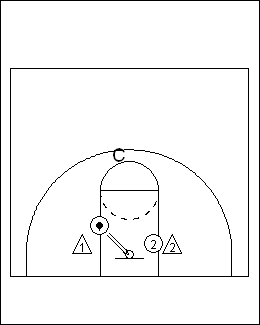 This is a very popular drill. Great website and very practical, thoroughly explained drills and concepts. I will use it with my girls team. Suggest adding a 5th player. Let the player who gets the rebound become the shooter. 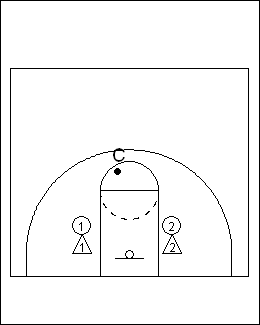 Rotate the offense and defense each shot. Yeah, that'll work. Chris Kelley - Framingham.